Palden Lhamo Festival is a traditional Tibetan festival on the 15th day of 10th Tibetan lunar month. On this day, numerous ladies and girls will gather at Barkhor Street with their most beautiful clothes. And Jokhang Temple will display a statue of Palden Lhamo’ daughter, a froglike face woman. So people will stand in lines to celebrate the festival by looking at the statue. Moreover, men should give money to women to give them best blessings. So Palden Lhamo Festival is also called “Tibetan Valentine’s Day”. If you travel to Tibet on November or December, please do not miss it! You can feel authentic Tibetan festival atmosphere on this day. Join our 1 Day Lhasa Group Tour now! 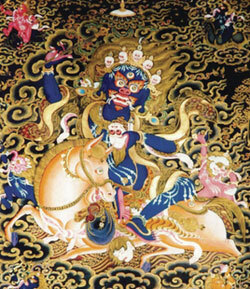 Palden Lhamo was a female deity from Tibetan legends. And she had three daughters. Among them, her eldest daughter fell in love with the General of Jokhang Temple. So Palden Lhamo was very angry and expelled the General to the south bank of Lhasa River. What’s more, she cursed the lovers not see each other forever. However, due to her daughter’s beg, she decided to let them see each other on the 15th day of 10th Tibetan lunar month. Her daughter was very kind. 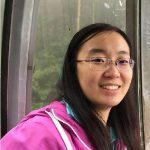 So people respect her very much. 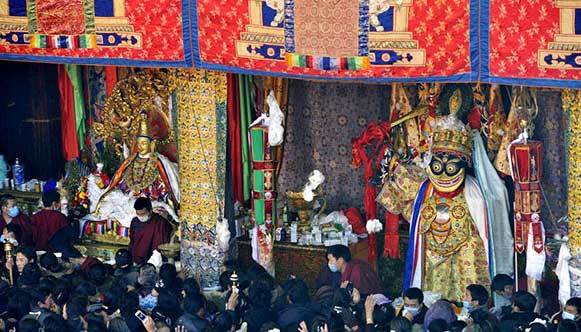 Thus, they place her statue with Songtsen Gampo together in Jokhang Temple for worshipping. Since she has a frog face, so people cover her face with a cloth until the festival to unveil it. Besides worshipping the statue, people will bring barley wine and hada for celebration of Palden Lhamo Festival. For more Tibetan festivals or Tibet travel news, please follow our Tibet Travel Blog.